Projectors have developed over the years and it is with 30 years experience that we have settled on Epson as our partner in projector sales. 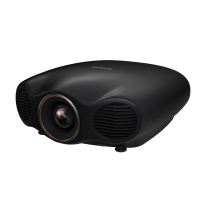 Whilst we can support entry level business projectors we have developed a thirst for high end projector sales within home cinema, and bespoke home cinema projects. Please take a look at Epson's flagship home cinema projector choice and if you want to see before you buy then we have a selection of high end projectors on show and working at our Burnley show room.